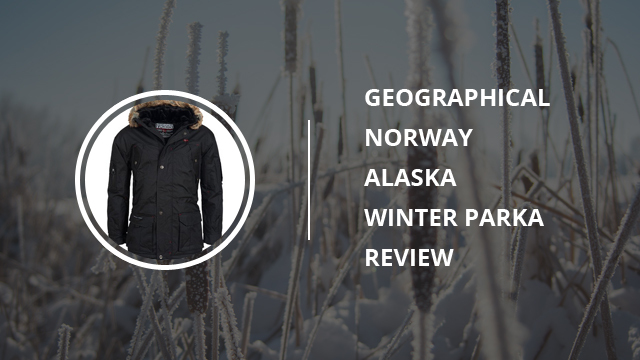 It has been a while since our last review of any Geographical Norway product, and this time, it’s Alaska Winter Parka jacket’s turn. 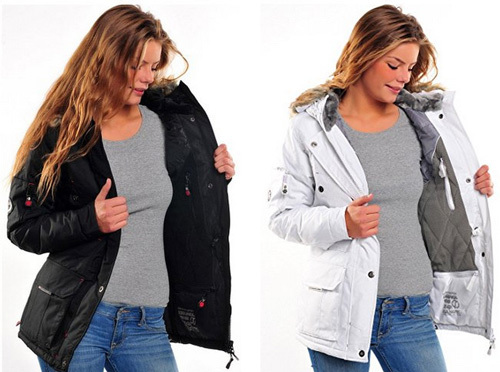 A stylish winter jacket, with a broad range of features that will definitely make you look twice. By now, you are familiar with the brand itself, as we’ve written about it in many of our articles, so we will get right into the jacket’s specifics. And, before we get into it, this parka comes for both men and women, so whether it’s for you, or as a gift for a loved one, you have both options to choose from. First of all, this part goes for both options, since the style and design are similar. Being a winter parka, the main purpose is to provide adequate warmth in freezing temperatures, which this jacket definitely succeeds at. Whether you live in a very cold area, or just prefer being extra warm during winter, then this jacket is a great option. The design is very modern, and it comes in a casual style, which make you look well-dressed, despite whatever you are wearing underneath. Therefore, if you intend to wear this as a daily jacket, that will not be an issue. The design itself, is intended to also offer ease of movement and comfort, making this jacket very suitable to wear when being active outdoors. Hiking, traveling, whatever it is that you enjoy doing in winter, rest assured, the Alaska parka will adapt nicely and provide warmth, without hindering movement in the least. It comes with several pockets, which is a good thing if you are not a fan of bags. There are two oversized side pockets, with Velcro flaps on top, two chest pockets and a pocket on each arm. On the inside there are three slip pockets, great for carrying goggles, or other items you’d prefer to keep extra protected. The sleeves are long, with ribbed elastic cuffs, that will fit nicely on the wrists and keep them warm, as well as provide insulation. The collar is high, to protect the face and also insulate the jacket. It comes with a hood, lined in fleece for added warmth, and faux fur, which can be removed. All this will ensure that the face is guarded against cold winds. Both versions come with drawstrings on the inside, around the waist, for proper fitting and adjustment of the jacket. And as for logos, they are small and few, making the jacket all the more easily matched and combined with outfits and staying true to the casual look. The jacket is made of 100% Polyester on the inside and outside. This gives it waterproof qualities, as well as makes it windproof, ensuring you’ll remain dry and warm at all times. The material is highly breathable, too, making it ideal for those who are physically active, as it will allow for perspiration to evaporate and maintain the inner part of the jacket dry. High breathability prevents overheating as well, which can happen easily if the jacket is stuffy and without proper ventilation designing. The inner lining is quilted, for a better coverage and insulation. As for the cuffs, they also come with Velcro fasteners, apart from the ribbed elastic material. The hood is lined with fleece, as is the inner part of the jacket, which is well-known for its ability to remain warm and dry. The main zipper goes the entire length of the jacket, placed in the center. It is a waterproof zipper, covered with a wide flap, that closes with snap buttons. All this, making the jacket entirely weatherproof. The color selection is a bit limited for both men and women. Despite that, the colors are classic jacket colors, making them easily combined and non-affecting to the outfit. For men the color option is the Black. 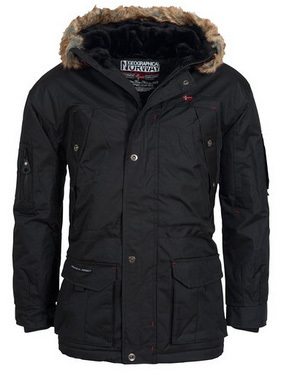 The faux fur lining is colored beige-brownish and goes well with the jacket’s black color. For women the colors available are: Black and White. The faux fur lining is colored in the same way as the men’s version. Since there are reviews from both women and men, we will not be separating them, as the jacket material and design is identical for both options and also, because reviewers of each version agree on similar things when it comes to this jacket’s quality. 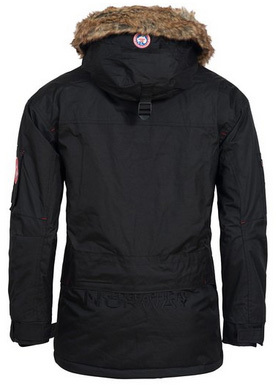 The way it looks is one of the most commented things for the Alaska Winter Parka. It looks just like the picture, while for some it’s even better in person. When worn, it certainly looks great, while also feeling very comfortable and warm. Several buyers live in very cold areas and they are happy to report that the jacket is considerably weather-resistant and stays warm and cozy the entire time. Its breathability is another appreciated quality, as some of the reviewers are quite active and they are pleased that the jacket does a great job at remaining dry, as well as not causing any overheating issues. Since the fur is fake, it is another added quality for most reviewers, who are against wearing real fur. All in all, those who have bought and tried this jacket on agree that it is high quality, warm, comfortable and looks great. 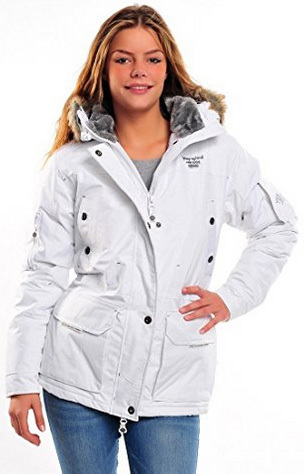 To summarize everything, the Alaska Winter Parka from Geographical Norway is a stylish winter jacket, that does well in low temperatures and feels very warm and comfortable. It comes in both male and female versions and can be worn as a casual, daily jacket, and also while being active in outdoor activities during cold weather.